GAIA STONE is the name of a green Obsidian like gemstone that was created as a result of re-heating and processing the volcanic ash of the Mt. St. Helens eruption of 1980. Gaia Stone is associated with the Divine Feminine aspects, especially the Buddhist Green Tara. Thought to attract earth and nature spirits, it carries the energies of Mother Earth and has been called the “soul” of the Earth Mother. It can assist in manifesting prosperity and abundance in all things and can help to mediate and heal estranged family relationships, by helping to diffuse anger and dissolve the barriers that stand between them, making forgiveness and tolerance more possible. 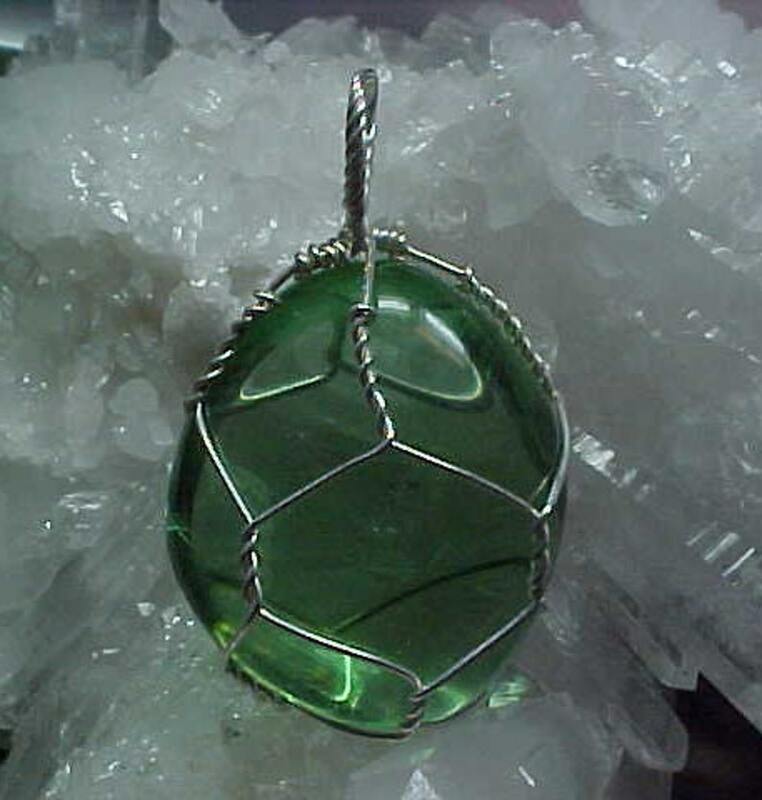 Among the purest representations of the Green Ray, Gaia Stones can be used to help soothe and heal the heart and to purify and revitalize the emotional body. Its emerald green color emits a strong vibration for balancing and aligning the Heart Chakra, bringing the energies of healing, life and vitality, not only for us, but for healing of Gaia Mother Earth, making it a superb companion for those who are working with these Earth Changes. I really like this store a lot. The necklace is beautiful.